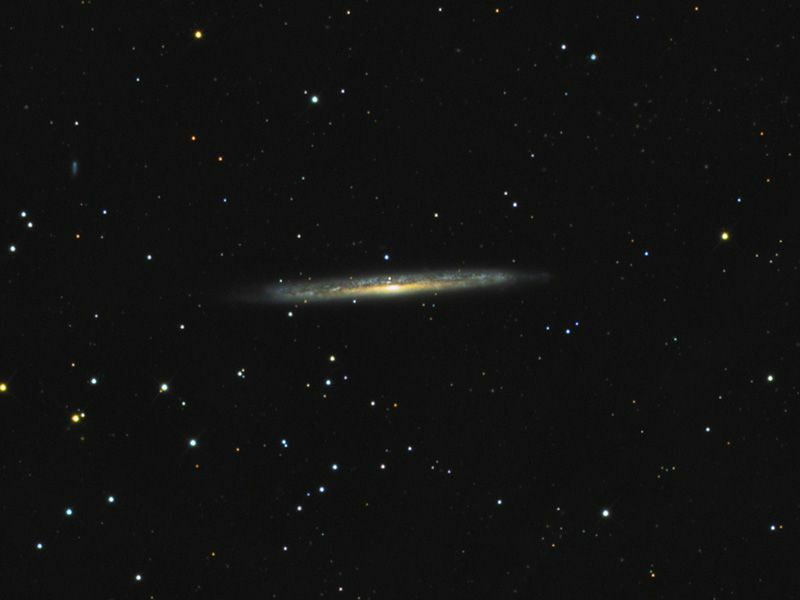 NGC 5907 is a spiral galaxy located approximately 50 million light years from Earth.It is a member of the NGC 5866 Group. The galaxy was discovered in 1788 by William Herschel. NGC 5907 has long been considered a prototypical example of a warped spiral in relative isolation. An international team of astronomers announced the presence of an extended tidal stream surrounding the galaxy. 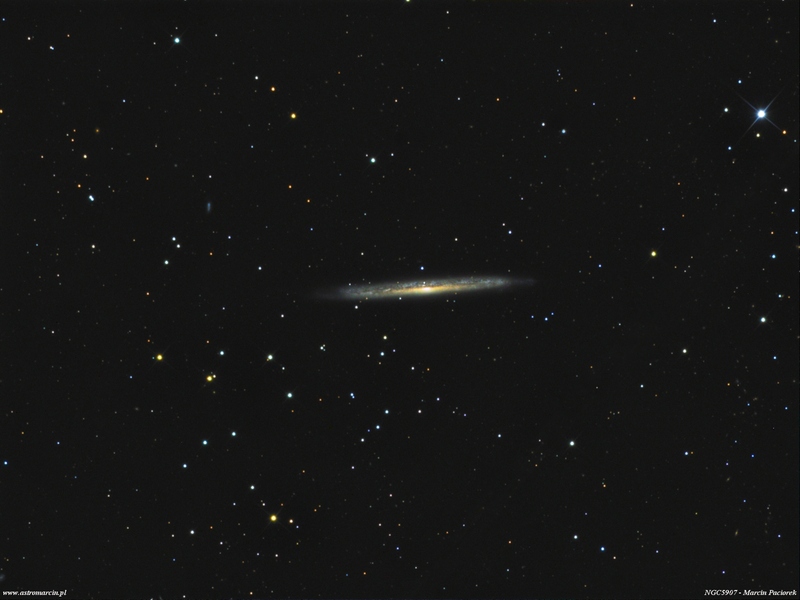 NGC 5907 is also known at the Knife Edge or Splinter galaxy.